You can now access the Obits Menu from the “source” field of an order. This new option allows you to view obituary records from all over the US and Canada by simply typing the deceased’s first and last names. The web site will then scan all the obituaries for that name during the past 3 days and display a list of names for you to select from. 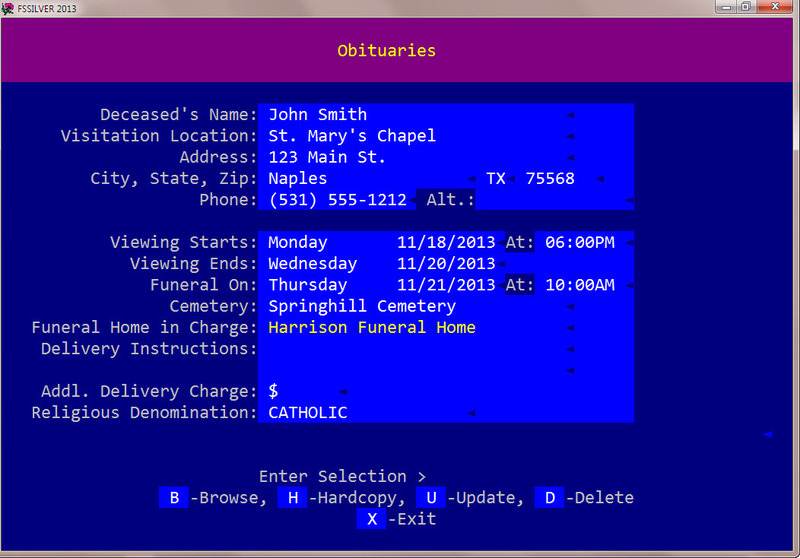 I’ve also made this new feature available when entering a new obit. See below. Enter the first and last name of the deceased. Only the first and last name and in that order. In other words, no Mr. John Smith or Smith, John. Just the first and last name with no punctuation and then press the F4 key. 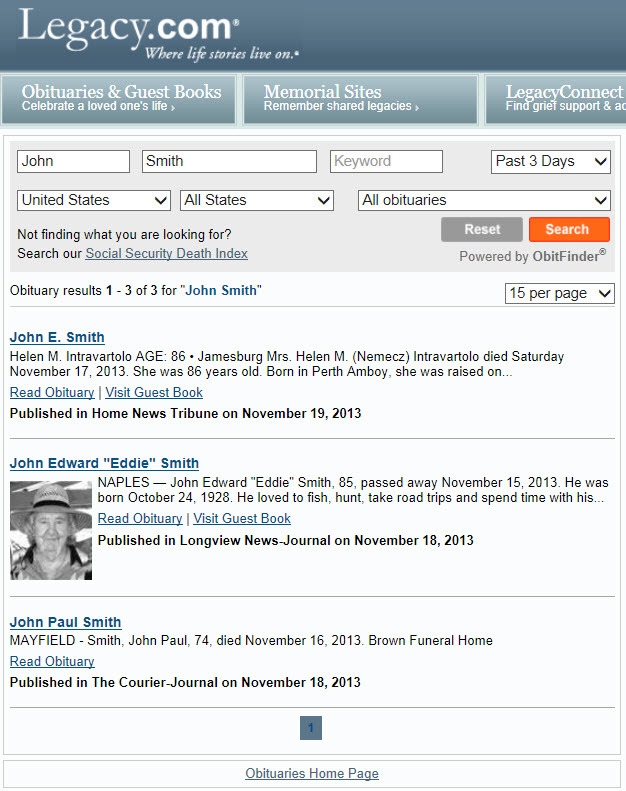 The same list as shown above with all the John Smith deceased during the last 3 days will be displayed, but this saves you having to enter the first and last names separately and clicking on the search button. I thought about restricting the search to your state only, but we do have shops that deliver to neighboring states and that would prevent you from seeing any of the deceased names in other states. 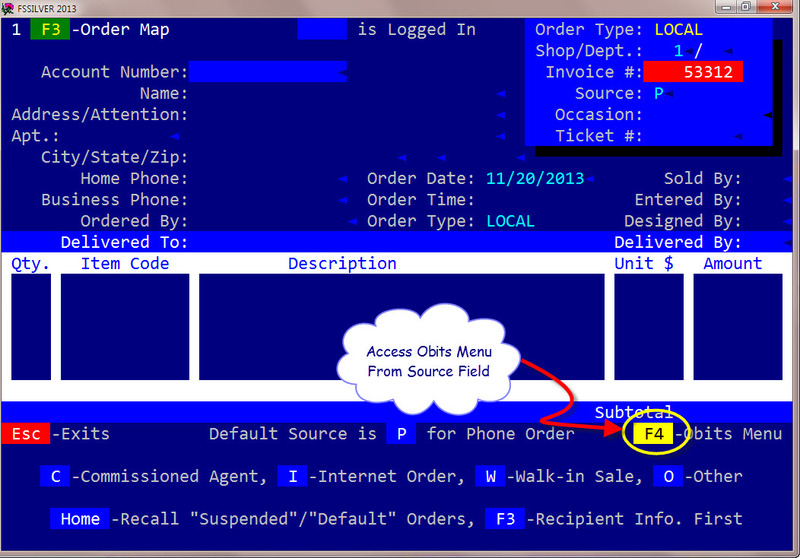 It also would disable the feature for outgoing orders, so I’ve decided to display all the names and let you pick. I only got 3 hits with John Smith, so I suspect the lists will not be very long. 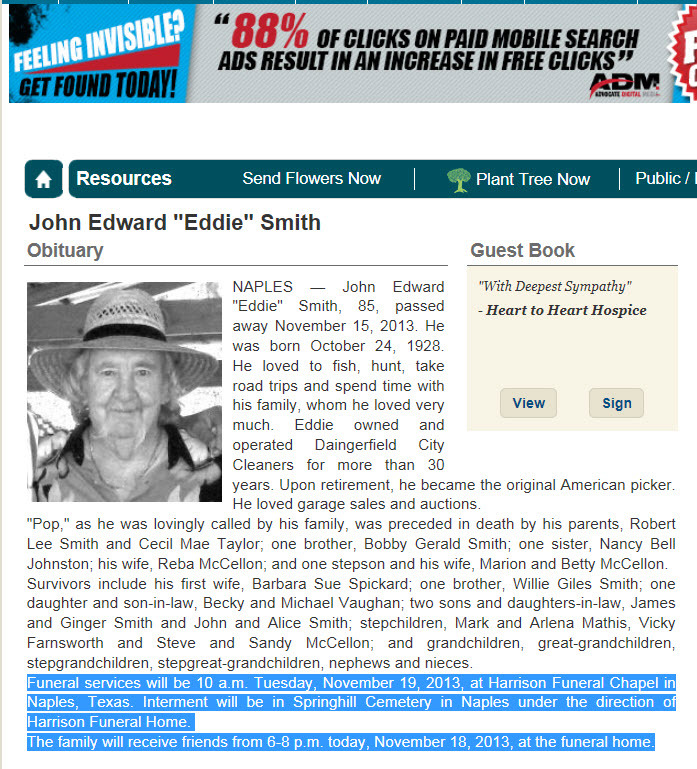 Another thing you can do once you’ve selected the name you want, is to copy (as in copy and paste) a portion of the obit and then paste it into the obit record as reference. This will copy what you’ve highlighted into the Windows clipboard. 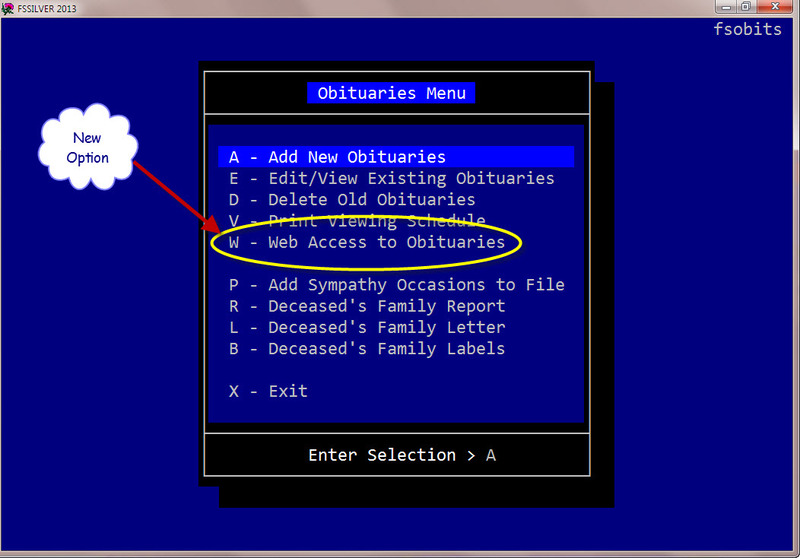 You can then exit the obit web page. 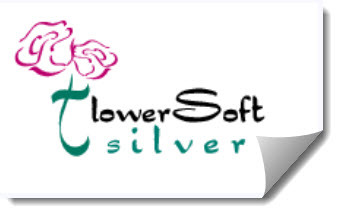 This will put you back into flowerSoft’s obit record at the top of the screen. This is called the “paste” field. At that point you can use your mouse again to right-click and click on “Paste”. Whatever you copied from the obit web page will now be displayed in this “paste” field (up to 479 characters) allowing you to refer to it to complete the obit entry. Now using some of the information pasted you can complete some of the remaining fields. 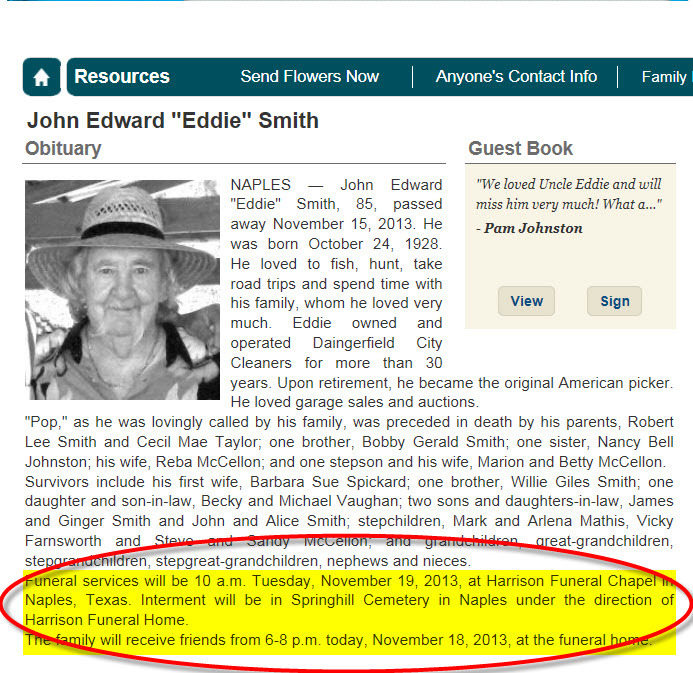 Once the record is saved, the pasted information will no longer be visible from Edit/View Obits. As usual any suggestions for improvement are welcomed. George, one thing that I’ve noticed with this that would make it hard for us to actually use it in practice is that it assumes the visitation is at a funeral home and not a church. While it is important for us to be able to know which funeral home is handling the service, many times the visitation and funeral service is being held at a church all on the same day, not at a funeral home. For us at least, it would be more beneficial to substitute “Visitation Location” for the “Funeral Home” field you already have so that we could enter where the name and address of the actual location the visitation is being held, whether it’s a funeral home or church. 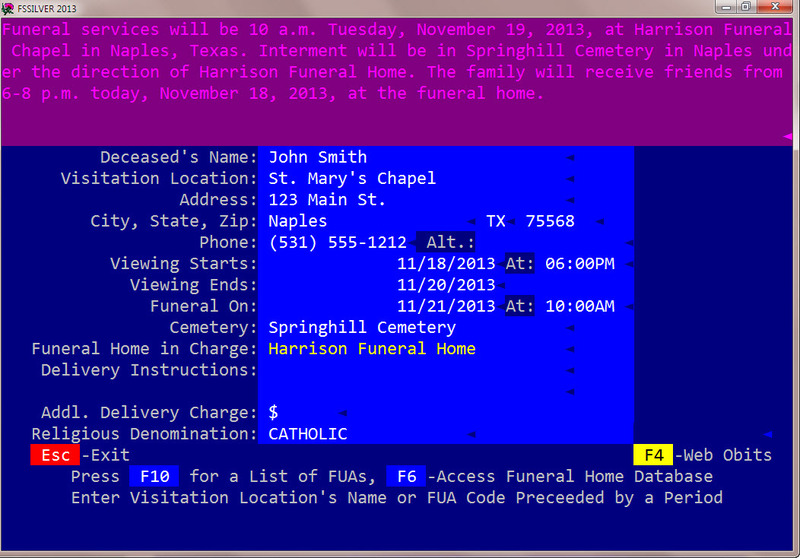 Then, an additional field could be added called something like “Funeral Home in Charge” or something like that. 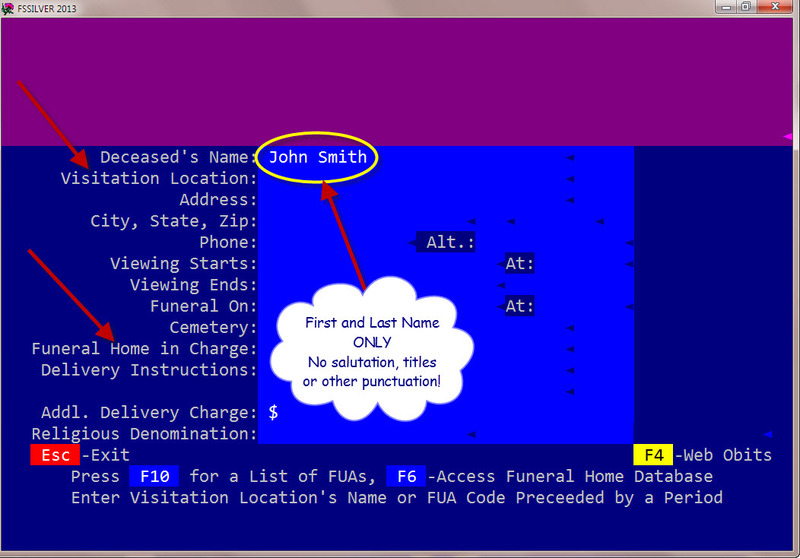 I thought about using the fields you already have and entering the name of the church in the “Funeral Home” field, while annotating the attending funeral home in the “Delivery Instructions” field. Unfortunately, the “Delivery Instructions” field does not, as far as I can tell, seem to be visible during the order entry process. Knowing the funeral home in charge of the services is important because each funeral director has different preferences for delivery times and procedures. Anyway, my two cents. OK, never thought about that. I’ll make the change.